We will work with you step by step to achieve your vision for your landscape. Our mission is to create and/or maintain landscapes that fit in and flourish with the natural environment, while creating a sanctuary for you, your family and friends. Ecoscapes has been in business for over 10 years, beginning in 2004. From property maintenance to landscape/hardscape installation, Ecoscapes provides a wide array of landscape services. For stonework we mainly use dry stone laying methods. One of our specialties is rebuilding old stone walls; the fieldstone in these walls, rich in history and character, is always exciting to bring back to life, they certainly can compliment and enrich your property and home. We also work with many types of quarried stone from New England, New York and Pennsylvania. Our landscape projects include perennial/rock gardens, tree and shrub planting/pruning, and lawn installations. My father has been a passionate gardener most of his life, he’s certainly passed that passion on to me. I’ve always had a great respect for nature and the natural world in general, so working with the land has been a natural fit. By the age of 13, I was mowing and maintaining properties around the neighborhood. work was (landscaping bootcamp!) it really enhanced my skills and broadened my perspective on landscaping in general. 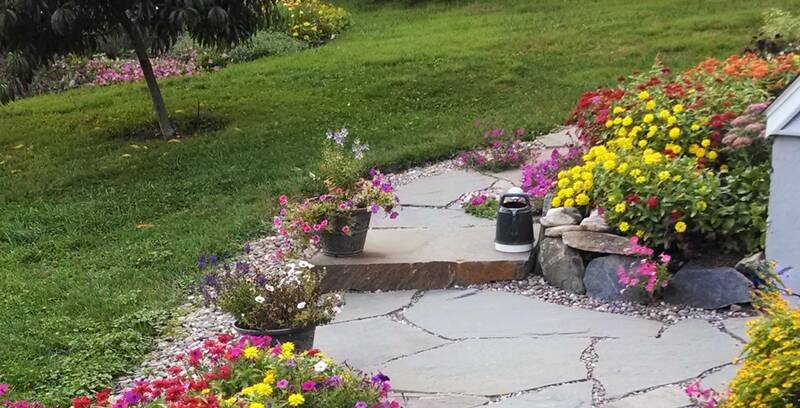 Right before starting Ecoscapes I worked for a landscape/hardscape company in southern VT that did landscape projects for a well known landscape designer who’d written several highly regarded books on landscape design. I had the opportunity to work with him one on one on several projects, it was quite a learning and inspiring experience. 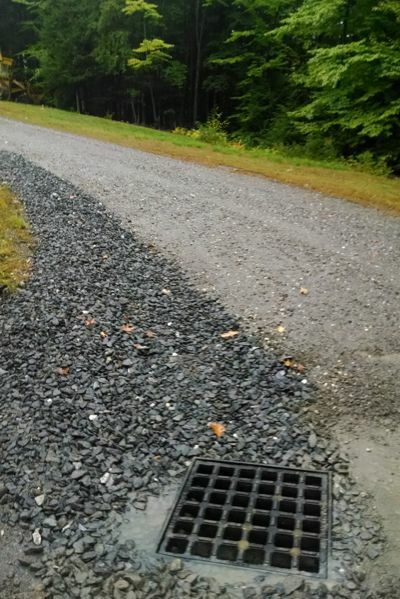 I continue to work with a well known and respected landscape designer in the Monadnock region of NH, assisting her when she needs hardscaping or equipment services. There’s always new things to learn in the landscaping field, and I’m thankful for the teachers and great influences I’ve had along the way. I’ve always felt a need to organize things, so years ago as I first started learning about stonework and working with many types of stone in different situations, I quickly developed a passion for it. 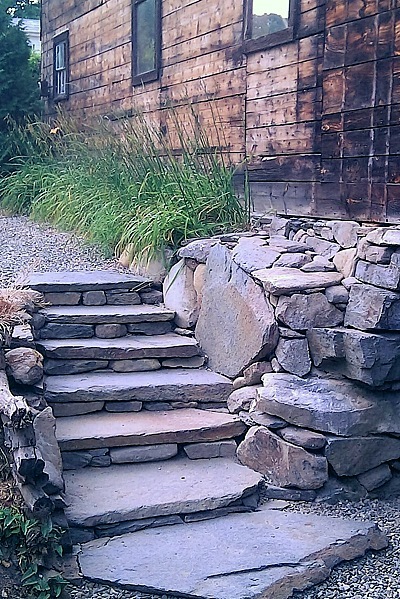 There was certainly much to learn about the many uses of stone in the landscape. It certainly takes time to develop the skills and patience necessary to work with stone. A focus on quality and craftmanship is critical, as all stonework, from walls to patios, should be able to stand the test of time. As the human population increases, how we use and develop land becomes critical. If we proceed with a focus on sustainability, and giving back what we take, we can ensure that future generations will live well and prosper.